Heeter strives to be a good corporate citizen for the benefit of its customers, employees and industry. Here is Heeter’s 2017 Sustainability Policy. Heeter is FSC® certified which ensures that products come from responsibly managed forests that provide environmental, social and economic benefits. When you look for the FSC® mark on Heeter products, you help protect our forest ecosystems. Purchasing our products support the Forest Stewardship Council’s mission to preserve the forest for future generations. One simple action can have a profound impact. Heeter is certified by the Sustainable Green Printing (SGP) partnership. 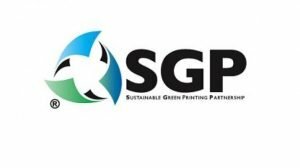 SGP certified printers are among an elite class of facilities that have made a commitment to corporate responsibility and environmental sustainability. These printers are seen as valuable resources for brands that want to elevate their own sustainability initiatives by working exclusively with certified printers.